AVAILBILITY This piece is currently on exhibit at Elmhurst Christian Reformed Church in Elmhurst IL, and is still available for loan or purchase. 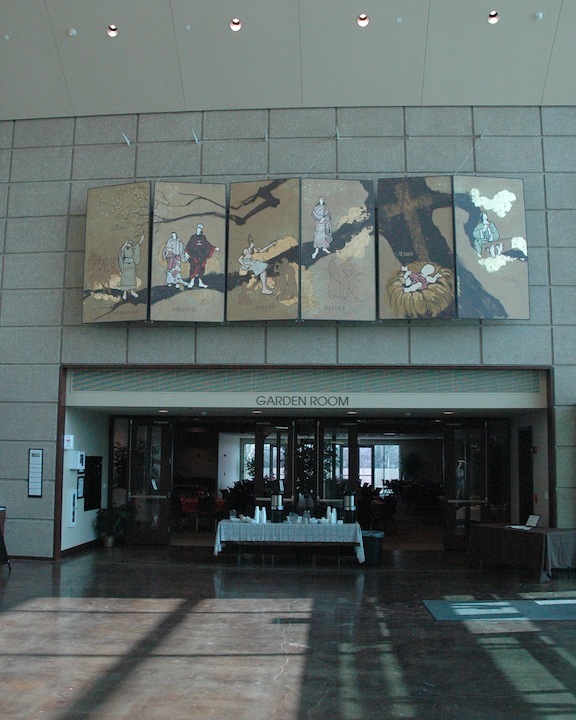 The multi-paneled painting located above the west entrance to the Garden Room is based on the Advent theme ‘”Traveling Mercies,” It is a call to journey from familiar places to places where we experience, explore and encounter Jesus. 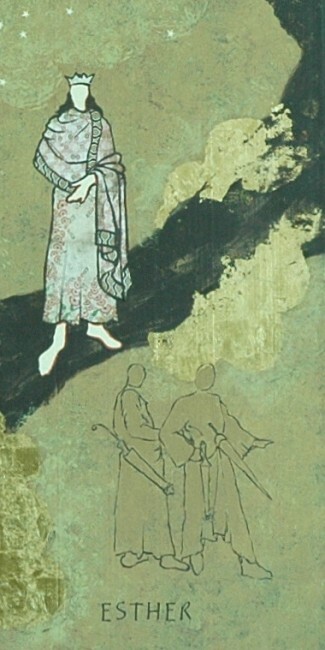 Each double-sided panel is a portrait of a Biblical man or woman shown first on side one, where we meet him or her in their ‘early’ life in the Biblical story, and then as the panel flips, we see him or her after they have been through an unexpected journey, and how God’s hand of mercy has called and guided them on that journey.